Wheels, Tyres, Brakes and Suspension. Single skin fibre glass rear apron, has markings to suit cutting for different year decklids. 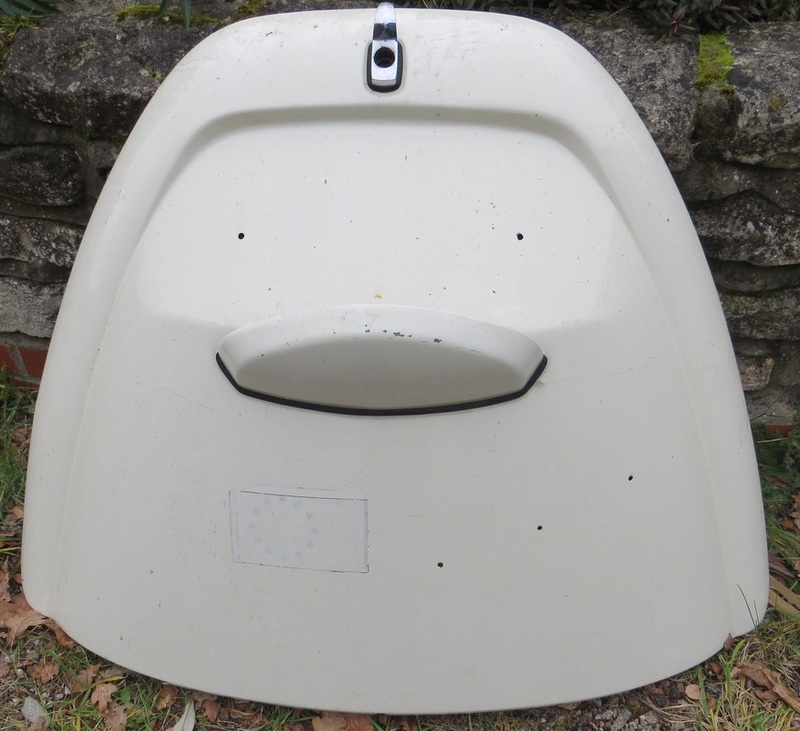 Genuine '68 cabrio decklid, complete with rain trays, etc. Really good straight rust free condition. including Bice split front bumper. 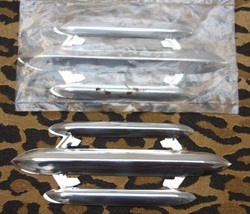 Converted to one piece window, '69 beetle doors, dechromed complete with winder mechanism, glass and door mirror. Real nice lotus white '67 decklid with number plate light. Good useable pair complete with 1200 rear lights. Looks genuine, scruffy but useable.